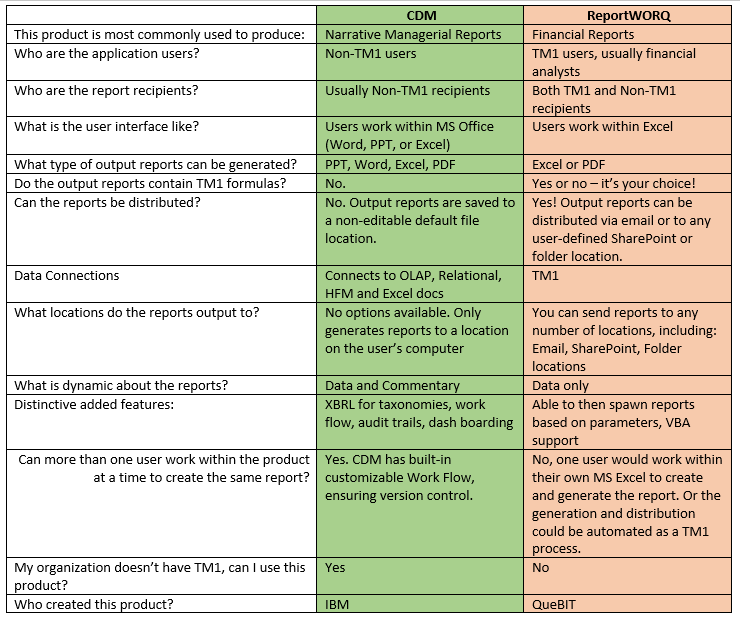 QueBIT Blog: What’s the difference between ReportWORQ and CDM? IBM’s CDM is collaborative environment used to CREATE the report templates. QueBIT’s ReportWORQ uses templates (which could be generated in CDM!) and dynamically use parameters to pull information into various output report types and ultimately DISTRIBUTE them. 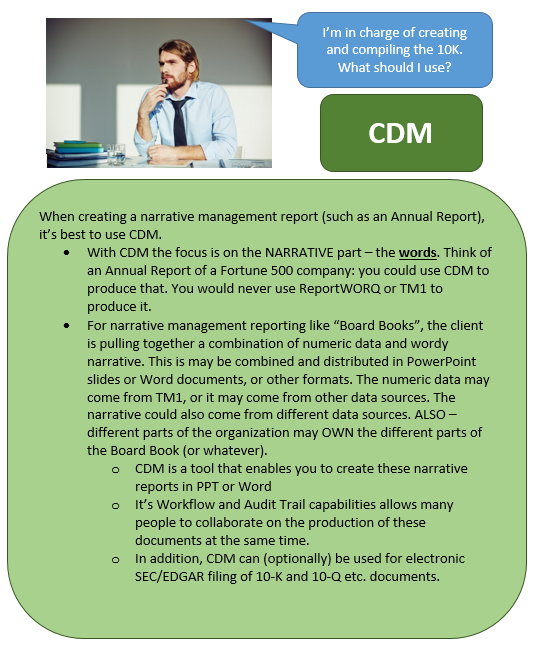 CDM does not “distribute” any reports as CDM only outputs to a non-editable default folder location. The end users: In fact, the audience for CDM and TM1 in some larger companies are completely different groups (though there may be some overlap in that *some* of the data needed for CDM may come from TM1. 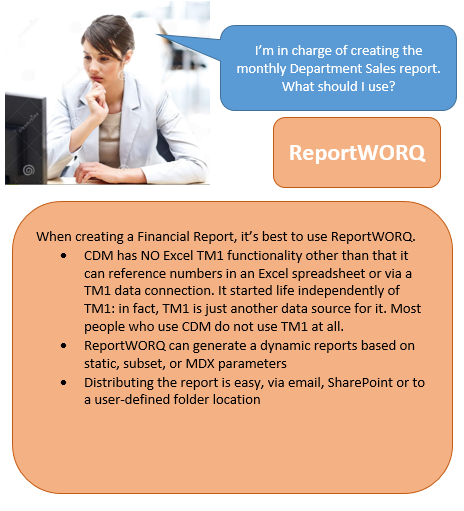 ReportWORQ is designed specifically for TM1 report distribution. TM1’s primary reporting tool and interface is Excel. This is powerful for financial reports like P&Ls, balance sheet and financial analyses like variance reporting etc. Finance organizations that use TM1 will typically have a whole bunch of Excel reports that pull data from TM1. It is also common that these Excel reports would be distributed to many users throughout the organization (not all of whom are TM1 users) by email or SharePoint. ReportWORQ is the tool that enables you to simplify and automate the distribution process of TM1 linked Excel reports, and will remove the TM1 formulas in the process so that non TM1 users can consume them.